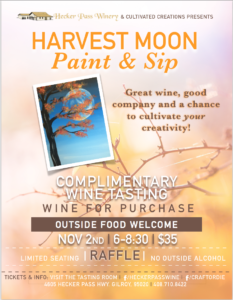 A hands on paint night, designed to cultivate YOUR creativity in a fun atmosphere with great wine and good friends! Annual Harvest Dinner date announced! 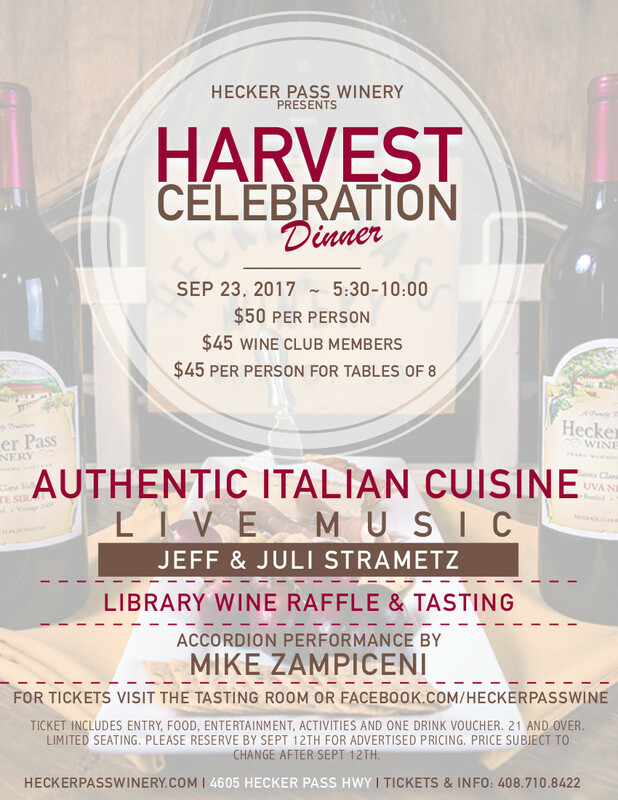 Join the Hecker Pass Winery family as we celebrate the 2017 Harvest. We will serve authentic Italian cuisine, wine from our current wine list, and special wines from our Winemakers Private Library. Dinner will feature the traditional sounds of Mike Zampiceni on the accordion. After dinner sit back, relax and enjoy the sounds of, or hit the dance floor with Jeff and Juli Strametz as they play a variety of hits. The night will include one night only discounts, a Library Wine raffle, and complimentary Library Wine Tasting. We love our kids, but this night will be 21+. Outside food and drinks prohibited.